Welcome to our website! 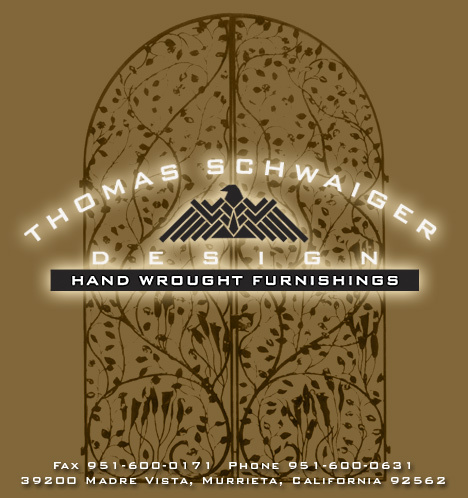 Thomas Schwaiger Design, Inc. provides the detail and refinement you demand in quality hand wrought furnishings. Each piece is individually handcrafted by our select team of artist blacksmiths using traditional European forging methods. Click the eagle to enter for product samples and information.